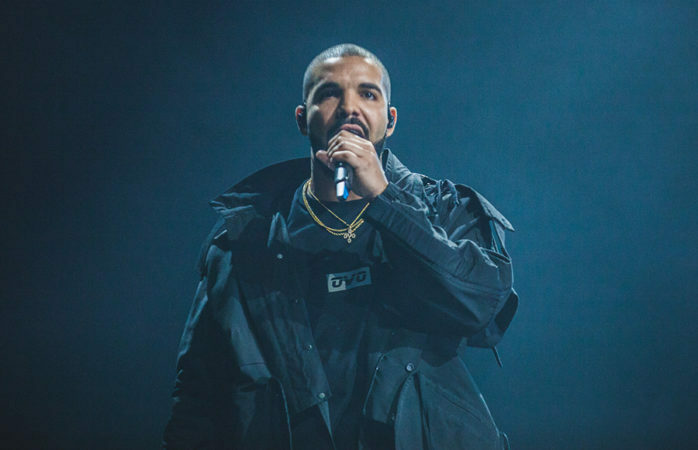 Quiz: Which lyric from Drake's 'Look Alive' do you need to motivate you during dead week? Quiz: Which lyric from Drake’s ‘Look Alive’ do you need to motivate you during dead week? We may be waist deep in dead week already, but if we know anything to be true, it’s that even when you genuinely don’t feel like a living, breathing human being anymore, you have to rally like the intellectual superhero you are — there is no other option. At least we can always count on our trusty ol’ pal Aubrey Drake Graham to lift our lifeless spirits. So, we here at the Clog are here to help you find the perfect “Look Alive” lyric to inspire you to buckle down when you’re feeling anything but alive and much closer to the dead end of the spectrum. How many cups of coffee per day are we talking? Maybe a chai latte here and there to spice up my life. Green tea and agave, please and thank you! Precisely one cup per interval of study (according to my detailed schedule). As many as I can physically pour down my throat. Who is your dead week study aesthetic? Drizzy: Your confidence is currently as high as your expectations. Elle Woods: If you have to study at least you’ll do it in style. Hermione Granger: Being called a know-it-all isn’t an insult if you indeed know it all. Not sorry. Kanye: Insane or intense? You decide. Either way, this week, you’re on another level. Which library will be your home for the next week? I’ll hop around so I don’t get bored. Strada, Wurster, the like. Boho coffee shops in San Fran. I’ll have to refer to my planner and get back to you with the details. I’m taking this quiz from my tent in Moffitt. Not to stress you out, but how many finals are in your future? Not to brag, but just a couple really. I’m kinda chillin’. Ehh … a couple and a research project. More than 4 and other assignments. SOS. 3? 4? No, wait, a paper too! Scattered … Who? Me? Watching a Christmas movie and decorating a gingerbread house! If you need to reach me, I’ll be on my phone exclusively from 3-3:15 p.m. and 10:30-10:50 p.m.
You thought I’d fall for this trick question? Multiple choice is my bread and butter. When do you plan on checking your semester grades? Idk, maybe when I come back to school in January. The middle of break so I have time to celebrate or cry. One of the two. ASAP, I have my bCourses alerts on loud. Unsure … depends mostly on when I regain my mental stability. “901 Shelby Drive, look alive, look alive”: Cool, calm, collected is your middle name. You need minimal motivation, but just remember when all else fails, look alive! “And I could let you check the tag now, I’m rocking name brand”: Bad and boujee is your moto this week (and to be honest, probably always). Do it for the flex. “I’m only chasing after bags, now I got a game plan”: You need a decent dose of motivation, but we here at the Clog aren’t too worried about you. A game plan you do indeed have, and we suspect you’re gonna swipe that DUB. “This f—– industry is cutthroat, I’m not the same man”: To be clear, “this industry” is the industry of UC Berkeley. Let’s cut to the chase, chill out man, you’re spiraling. Contact McKenna Hathaway at [email protected].